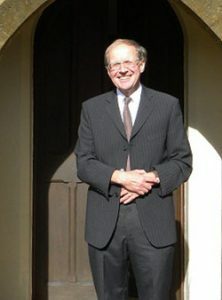 John Woollam was born in 1947, educated at Bristol Cathedral School, and read Classics at Exeter University (1966 – 1969). In 1975, while teaching in Abergavenny, South Wales, he went on a working holiday to Israel, where he was converted. Five years later, feeling the call to the ministry, he went to Trinity Theological College in Bristol and afterwards did three years of practical training as an assistant to Rev. Andrew Anderson at Philip Street Baptist Church, Bristol. Since May 1986, John has been the Pastor of Newhouse Baptist Church. He is married to Val whom he met while at Philip Street. John’s interests include walking and jogging, gardening and reading, and last but not least, visiting steam railways!